The Northwestern Wildcats pick up win #7 with a tense 23-21 victory over Penn State. Both are available in exchange for donations to PAWS Chicago. Click here for more information. 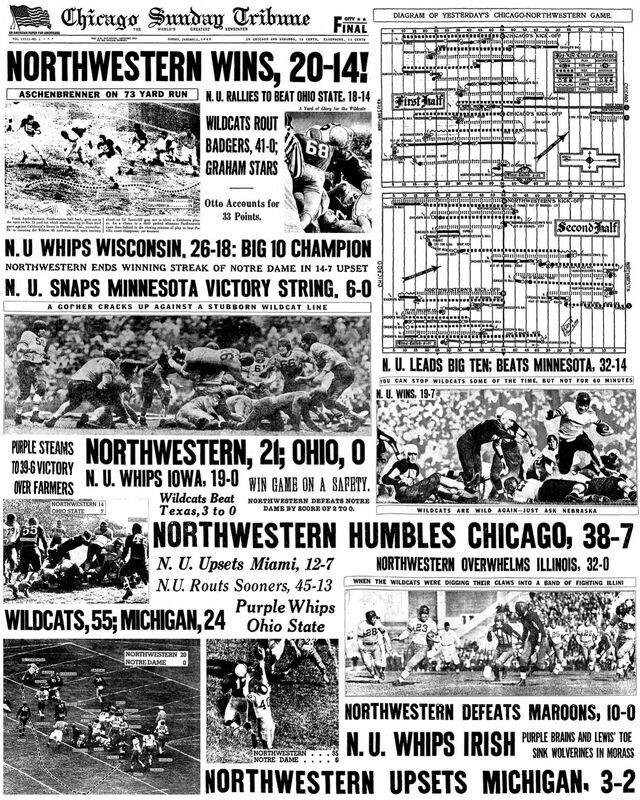 I created a 16x20 Northwestern football history poster made out of Chicago Tribune headlines, article titles, and images. You can download it for free here and print it out on your own. Places like CVS, Walgreens, and Snapfish will charge between $15 and $20. 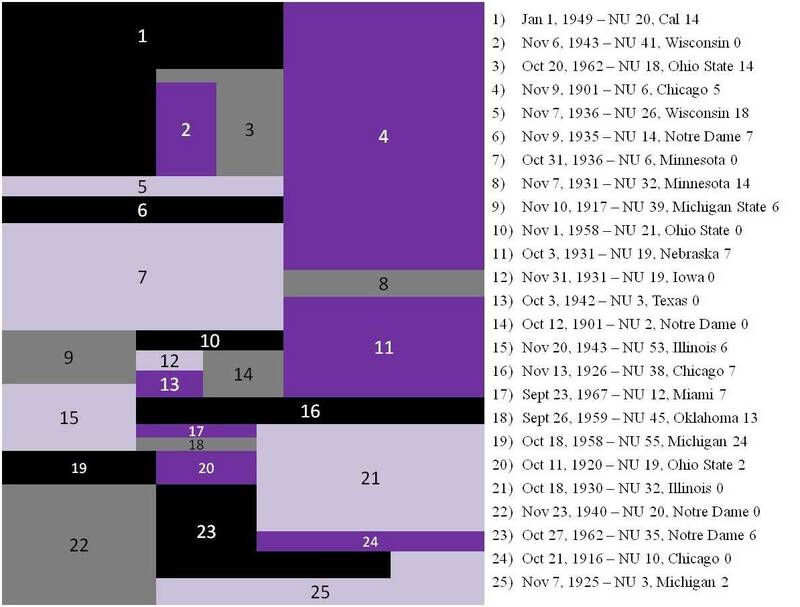 I have also uploaded a legend showing the year and score for each of the 25 games used, which can be printed out and taped to the back of the print or frame. While I am not charging for this poster, a $5 donation to One Tail at a Time is encouraged. You can do so here. Vimeo has known issues with password protected videos in Safari. If it does not load, use a different browser. To access videos through a Vimeo app, log in to your Vimeo account on a browser and "like" the video. It will then be viewable in the app. If you have any questions, comments, or game film that you could provide, please send me an email.